Globally, the number of internet users using mobile payment services each month continues on an upward trend, with this figure moving 10 percentage points since Q1 2016, now at 34% in Q4 2017. If we take a regional approach to the data, the current status of the industry landscape becomes immediately clear. 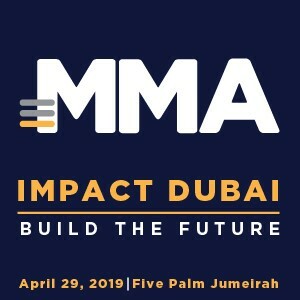 In the Middle East & Africa (MEA) region, this number has increased to 29 percent. 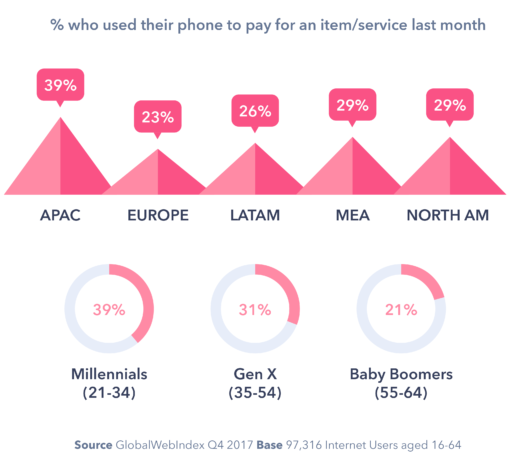 As might be expected, it’s younger internet users who emerge as the most enthusiastic about paying with their smartphones, with around four in 10 millennials doing so in the last month. These services are by no means reserved for the more digitally savvy though, as Gen X follows millennials closely, and a fifth of Baby Boomers are definitely warming to these alternative payment options.